Work from home, or pop it in your bag on a day out. Starting at 1.75kg, itll easily go wherever life takes you. 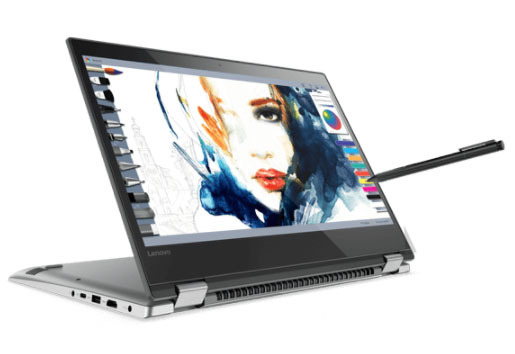 Featuring pin-point accuracy and palm-rejection technology, the Lenovo Active Pen (optional) emulates a natural pen-on-paper writing experience. Paired with new Windows Ink featuresfound directly on your taskbaryoull love the new ways you can turn thoughts into action. Write notes that sync up with Cortana to flow across your other devices; or get creative with a hand-drawn birthday card. 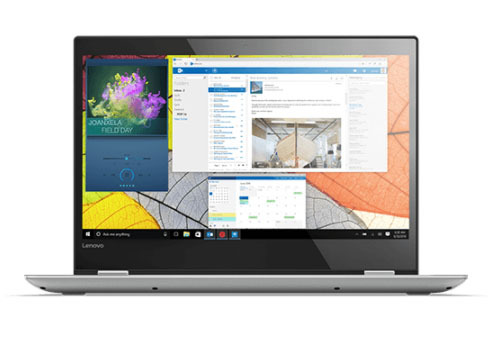 Yoga 520 brings you Windows 10 Home, built with a host of new features to streamline your life. Meet Cortana, your own personal digital assistant who answers your questions, sets reminders and learns what you like the more you use it. Cortana works with more than a thousand apps to ensure youll always have the answers you need. Best of all, Cortana syncs across all your Windows 10 devices to keep you organised. 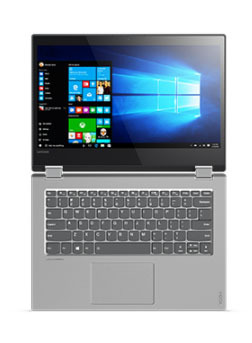 With a Full HD (14) IPS display option, youll be able to watch movies and browse the web in vivid detail from nearly every anglewhether youre lounging back on the couch, or watching with a friend. And weve narrowed the bezels on two sides of the screen from 12.3 mm to a miniscule 7.6 mm, to maximise your viewing experience. 10.4 hours of battery life means youll never feel anchored to an outlet. 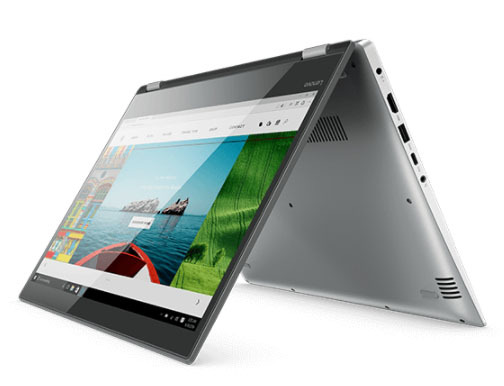 Plus, the Yoga 520 comes with an always-on USB 3.0 port, which means youll be able to charge your other favorite devices even when your laptop is powered off. Immerse yourself in your favorite album, or stay tuned during a conference call, on Harman Speakers with Dolby Audio Premium. 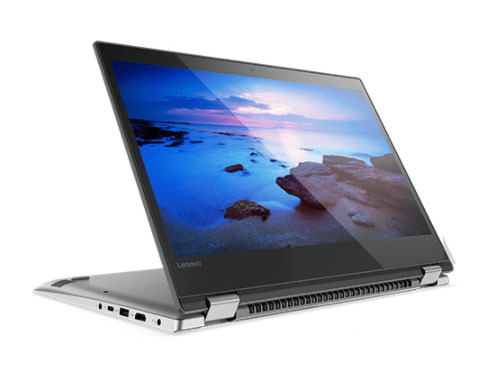 Featuring an advanced volume maximiser, the Yoga 520 delivers louder, clearer sound quality without digital distortion or pumpingand a sound leveller ensures your audio will remain consistent no matter what program youre using.